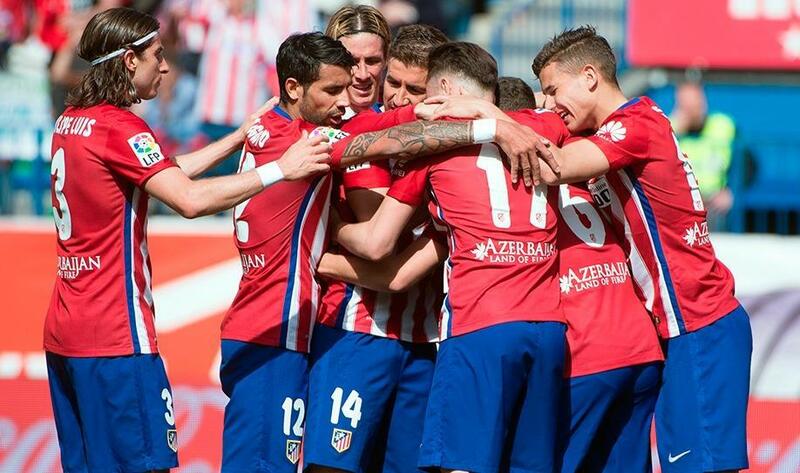 1/11 Atletico Madrid thrashed Betis and went closer to Barcelona in La Liga. In Italy, Roma won the Derby della Capitale in Lazio stadium. 2/11 Atletico Madrid 5-1 Real Betis: Griezmann at the double to apply pressure on Barça: Atletico Madrid applied pressure on Barcelona as a 5-1 victory over Real Betis saw them move to within six points of the Liga leaders. Atletico took their opportunity to cut Barça's lead with a comfortable victory inspired by Antoine Griezmann and Fernando Torres. The pair struck late in the first half to put Atleti ahead at Vicente Calderon, Torres netting with a smart finish before Griezmann enjoyed a stroke of good luck as Betis goalkeeper Adan allowed his throughball to go all the way in. 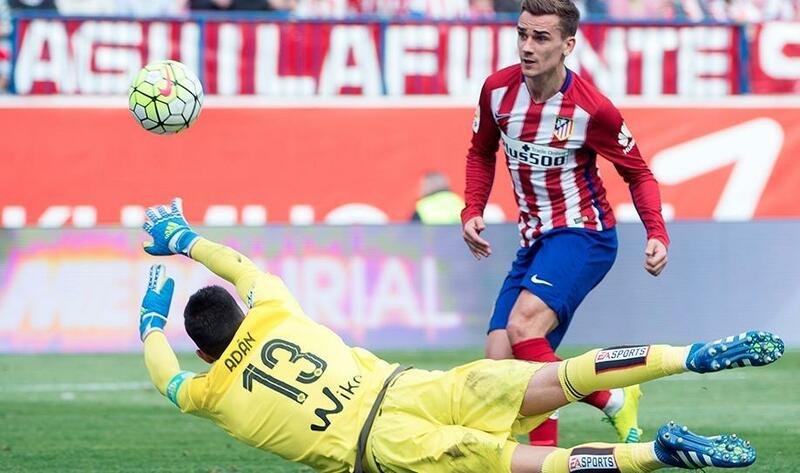 Atleti saw Griezmann denied again before Juanfran added the third just after the hour. 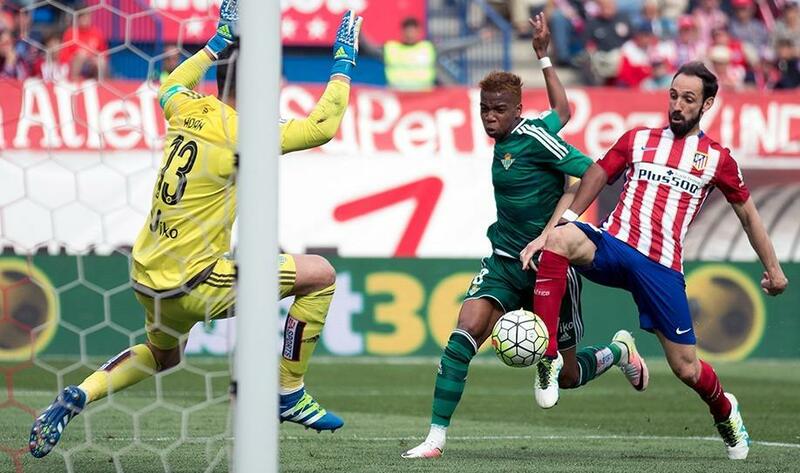 Ruben Castro gave Betis some consolation with a late strike but Griezmann and Thomas Partey completed a ninth victory in Atleti's last 11 home games. 3/11 Atletico Madrid 5-1 Real Betis: Griezmann at the double to apply pressure on Barça: Atletico Madrid applied pressure on Barcelona as a 5-1 victory over Real Betis saw them move to within six points of the Liga leaders. Atletico took their opportunity to cut Barça's lead with a comfortable victory inspired by Antoine Griezmann and Fernando Torres. 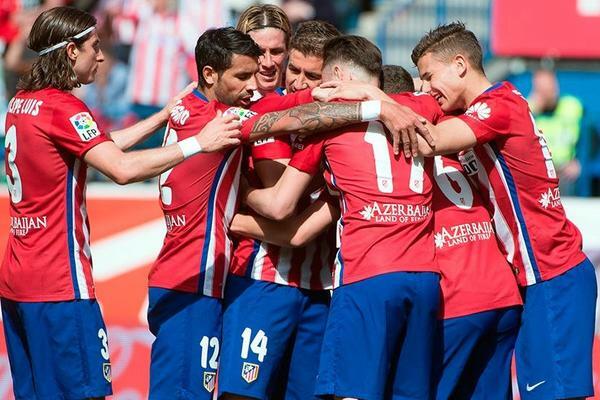 The pair struck late in the first half to put Atleti ahead at Vicente Calderon, Torres netting with a smart finish before Griezmann enjoyed a stroke of good luck as Betis goalkeeper Adan allowed his throughball to go all the way in. 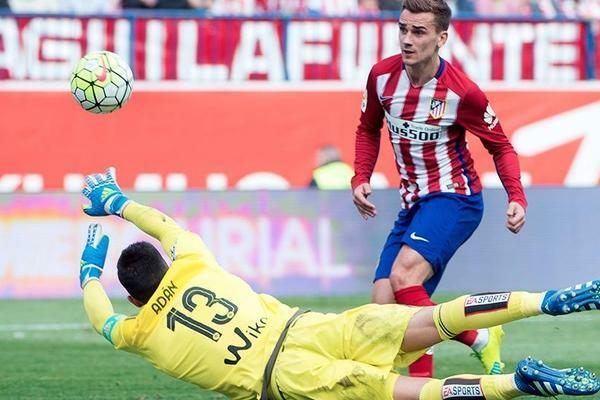 Atleti saw Griezmann denied again before Juanfran added the third just after the hour. 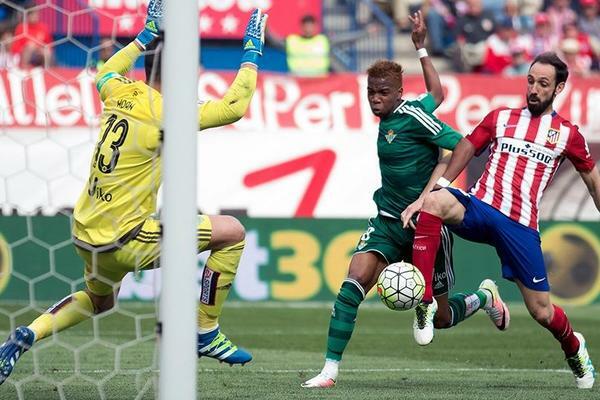 Ruben Castro gave Betis some consolation with a late strike but Griezmann and Thomas Partey completed a ninth victory in Atleti's last 11 home games. 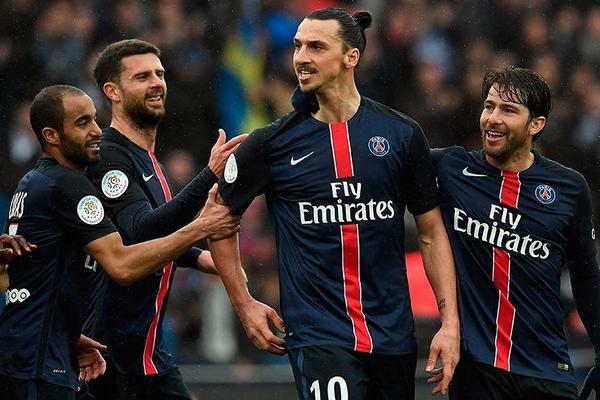 4/11 PSG 4-1 Nice: Ibrahimovic takes Ligue 1 tally to 30 as Parisians warm up for Man City: Paris Saint-Germain prepared for their Champions League tie against Manchester City in the best possible way with a 4-1 win over Nice. David Luiz supplied the pass that allowed Zlatan Ibrahimovic to open the scoring in the 15th minute, but Nice pulled one back only three minutes later through Hartem Ben Arfa. 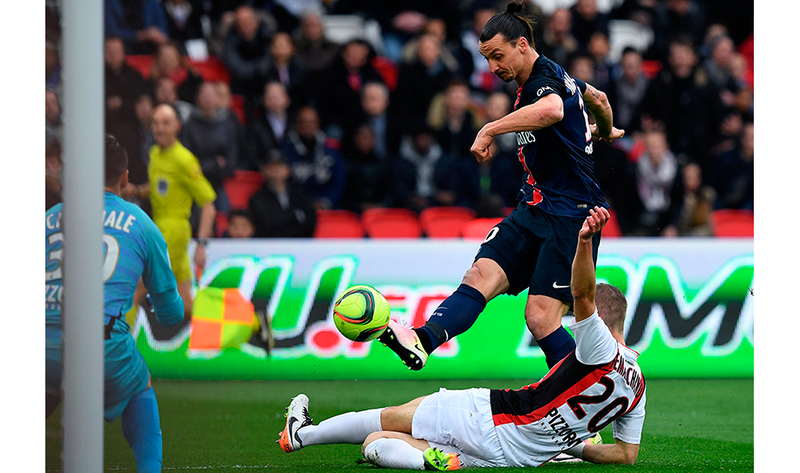 However, Laurent Blanc's side were not to be denied and Ibrahimovic stepped up to a free-kick on the edge of the area, smashing it home to put PSG back in the lead. Luiz made it 3-1 when he bundled in a corner before Ibrahimovic made sure of the result, the in-demand veteran putting the finishing touch on an excellent individual move from Adrien Rabiot. 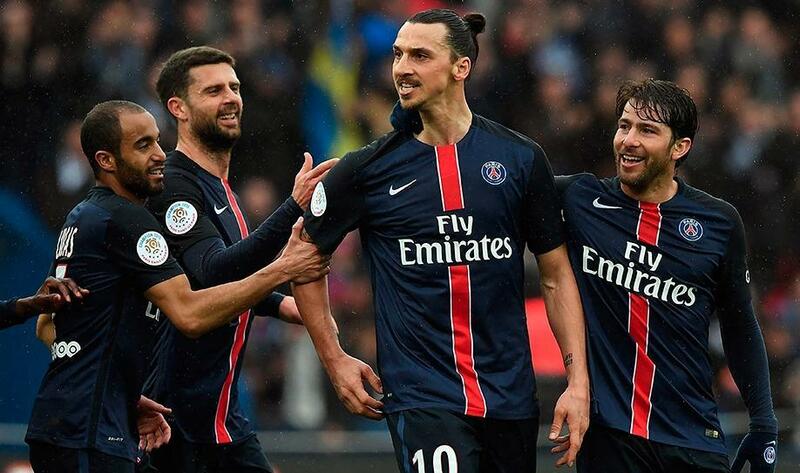 5/11 PSG 4-1 Nice: Ibrahimovic takes Ligue 1 tally to 30 as Parisians warm up for Man City: Paris Saint-Germain prepared for their Champions League tie against Manchester City in the best possible way with a 4-1 win over Nice. David Luiz supplied the pass that allowed Zlatan Ibrahimovic to open the scoring in the 15th minute, but Nice pulled one back only three minutes later through Hartem Ben Arfa. 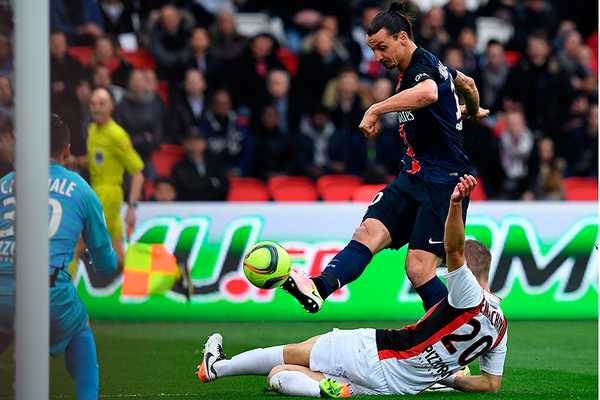 However, Laurent Blanc's side were not to be denied and Ibrahimovic stepped up to a free-kick on the edge of the area, smashing it home to put PSG back in the lead. Luiz made it 3-1 when he bundled in a corner before Ibrahimovic made sure of the result, the in-demand veteran putting the finishing touch on an excellent individual move from Adrien Rabiot. 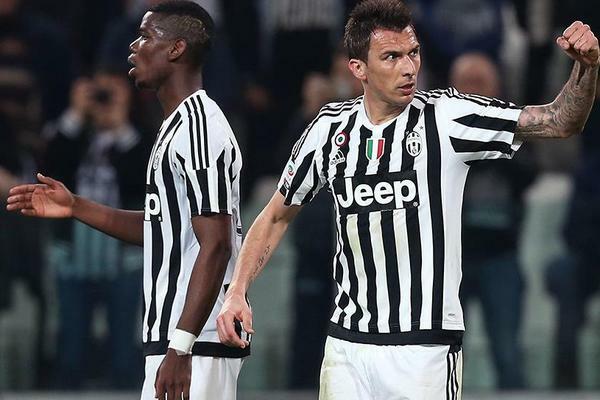 6/11 Juventus 1-0 Empoli: Mandzukic bags decisive goal for leaders: Juventus squeezed past Empoli 1-0 thanks to Mario Manzdukic's winner as they extended their run of unbeaten games to 21 in Serie A. The Italian champions extended their lead at the top of the Serie A table to six points but were made to work hard by the minnows. 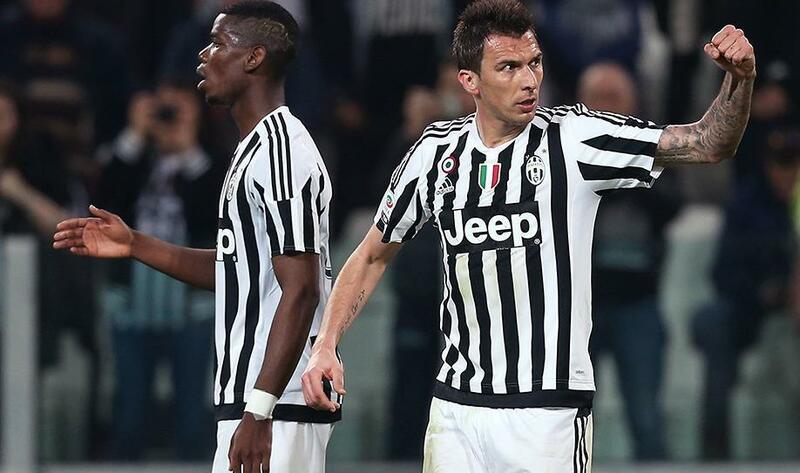 Massimiliano Allegri's men had Mandzukic to thank for the winner and another three points, after he turned Paul Pogba's delivery past Lorenzo Skorupski. 7/11 Juventus 1-0 Empoli: Mandzukic bags decisive goal for leaders: Juventus squeezed past Empoli 1-0 thanks to Mario Manzdukic's winner as they extended their run of unbeaten games to 21 in Serie A. The Italian champions extended their lead at the top of the Serie A table to six points but were made to work hard by the minnows. Massimiliano Allegri's men had Mandzukic to thank for the winner and another three points, after he turned Paul Pogba's delivery past Lorenzo Skorupski. 8/11 Lazio 1-2 Roma: Roma won Derby della Capitale to close on second in Serie A: Roma have second place firmly in their sights after closing to within four points of Napoli with a humbling 4-1 derby victory over Lazio at the Stadio Olimpico. Stephan El Shaarawy got the ball rolling with a first-half opener and Edin Dzeko put clear daylight between the two Derby della Capitale foes with a second goal midway through the second half. Marco Parolo threatened an unlikely Lazio comeback when halving Roma's lead but Alessandro Florenzi notched his first derby goal to settle the tie, with Diego Perotti adding late gloss to the result. 9/11 Lazio 1-2 Roma: Roma won Derby della Capitale to close on second in Serie A: Roma have second place firmly in their sights after closing to within four points of Napoli with a humbling 4-1 derby victory over Lazio at the Stadio Olimpico. Stephan El Shaarawy got the ball rolling with a first-half opener and Edin Dzeko put clear daylight between the two Derby della Capitale foes with a second goal midway through the second half. Marco Parolo threatened an unlikely Lazio comeback when halving Roma's lead but Alessandro Florenzi notched his first derby goal to settle the tie, with Diego Perotti adding late gloss to the result. 10/11 Atalanta 2-1 AC Milan: Gomez hits Rossoneri's European hopes: Goals from Alejandro Gomez and Mauricio Pinilla saw Atalanta record a 2-1 Serie A win over AC Milan at the Stadio Atleti Azzurri d'Italia. Luiz Adriano had earned Milan an early lead when he converted a penalty, but Pinilla restored parity shortly before the interval with a fantastic bicycle kick. Gomez then delivered the hosts all three points with a cool finish at the hour mark as they moved further away from the drop zone. The game started with a minute's silence before kick-off in memory of Milan great Cesare Maldini, who passed away. 11/11 Inter 1-2 Torino: Miranda and Nagatomo see red as hosts slip to defeat: Torino shocked nine-man Inter with a 2-1 Serie A victory at San Siro, leaving the hosts' hopes of Champions League qualification severely damaged as a result. The visitors had to come from behind as Inter captain Mauro Icardi gave his side an early lead, converting a penalty harshly awarded for handball against Torino defender Emiliano Moretti. Torino levelled shortly after the interval when Cristian Molinaro finished with aplomb after an excellent team move and Inter's task then got harder when Miranda was sent off, receiving his second yellow card for a late tackle on Andrea Belotti. Yuto Nagatomo was dismissed for bringing down Belotti in the box and Belotti himself converted the penalty, sending Samir Handanovic the wrong way, leaving the Champions League dreams of Inter in tatters and easing the pressure on Torino coach Giampiero Ventura.